How you take care of your skin’s surface is tremendously important! When the outer layer of skin is healthy, it appears smooth, soft, refined, hydrated, and plump (think baby skin). Nourishing your skin’s surface also ensures that the lower layers of skin can better hold onto the vital substances needed to maintain a youthful appearance. Paula’s Choice Skincare has several options to feed your skin the right balance of nutrients; plant extracts and oils; and ingredients that occur naturally in skin—all to keep it strong, balanced, and defended from environmental stress. In particular, our RESIST Omega+ Complex Serum and Moisture Renewal Oil Booster work beautifully to revitalize sensitive skin. It's even suitable for eczema-prone and rosacea-prone skin. We cannot stress enough how important it is to give your skin’s surface the T.L.C. it needs to be healthy. Follow these guidelines to ensure you’re taking the best possible care of your skin. DON’T use drying cleansers, including bar soaps, which remove the essential moisturizing and nourishing substances that uphold your skin’s surface layer integrity. DO make sure your entire skincare routine is fragrance free. Fragrance’s wafting volatile reaction compromises skin’s surface. DON’T use abrasive scrubs because they can cause micro-tears in skin, and avoid products that contain harsh ingredients, like alcohol (often listed as SD or denatured) or essential oils (such as lavender or geranium). DO apply SPF 30 (or greater) daily! This is one of the most powerful ways to shield your skin’s barrier. DON’T rinse with water that is too hot or too cold and don’t soak in the tub until your skin “prunes” (that can weaken skin). 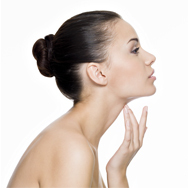 DO enrich the outer layer of skin with skin-replenishing ingredients, such as ceramides and omega fatty acids. Hint: You can get this replenishing combo via our RESIST Omega+ Complex Serum, which infuses skin's surface with a healthy cocktail of omega-3, -6, and -9 fatty acids proven to visibly strengthen and restore a smooth, radiant appearance.